We know it’s tough living in New York City and having pets. Accidents happen, there is no way to avoid it. At Rug Cleaning New York we have seen it all and we are here to help. 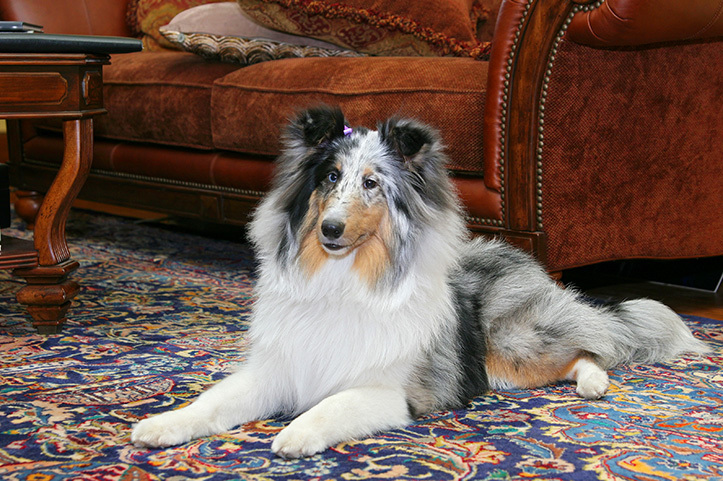 We are fully equipped and educated in handling every type of rug stain imaginable. If pet stains are an issue, it is best to have them treated as soon as possible. Urine carries acidic substances in them and can permanently burn natural fibers such as silk or wool. We ask that you do not attempt to treat the stain yourself as using the wrong products can actually permanently set the stain into your rug or cause further unnecessary damage. When dealing with complex stains it is best to consult with a professional. Urine stains can cause rather unpleasant odors in all area rugs. These odors are especially unpleasant on hot and humid days. It is important to note that any rug that is saturated with urine, MUST be taken out for soaking treatment otherwise the odors will not go away. It is important to thoroughly soak both sides of the rug and let the combination of water and natural enzymes flush away all the urine salts from the rug and neutralize the odors they carry.